In 2013, the MRWA received a grant from the U.S. Forest Service focused on preventing the spread of aquatic invasive species. They provided two high-pressure, hot water boat washers mounted on trailers along with funding for operation. 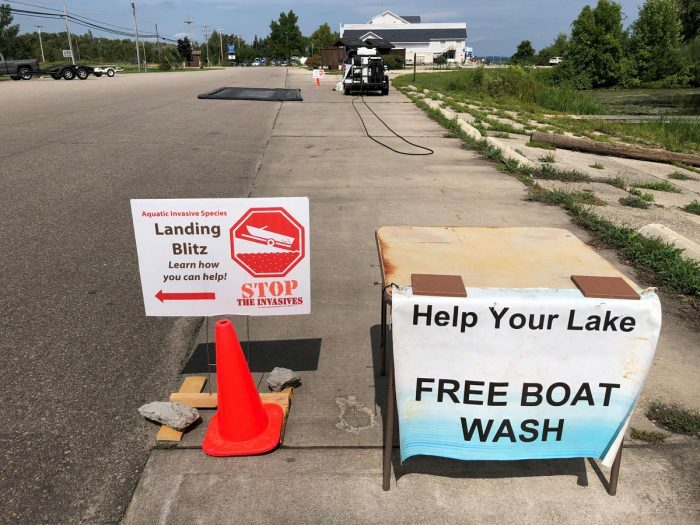 Each year we operated one boat washer at public landings in the southern watershed and one in the northern watershed at Houghton Lake. Trained operators removed all traces of invasive plants from boats before they were launched, or as soon as they were pulled from the lake. 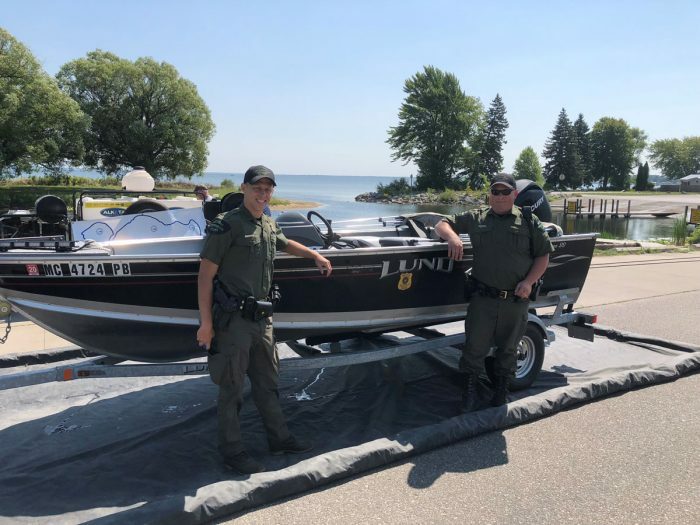 More importantly, they took the time to educate the public on the danger of aquatic invasive species and the importance of control. The long-term value of a program like this is in the knowledge that spreads through the boating community and lake owners. The grant officially closed in December of 2017 and the MRWA became the owner of two portable high-pressure boat washers without funding to continue the work. We donated them to the USFS and began to explore ways to keep the project alive. 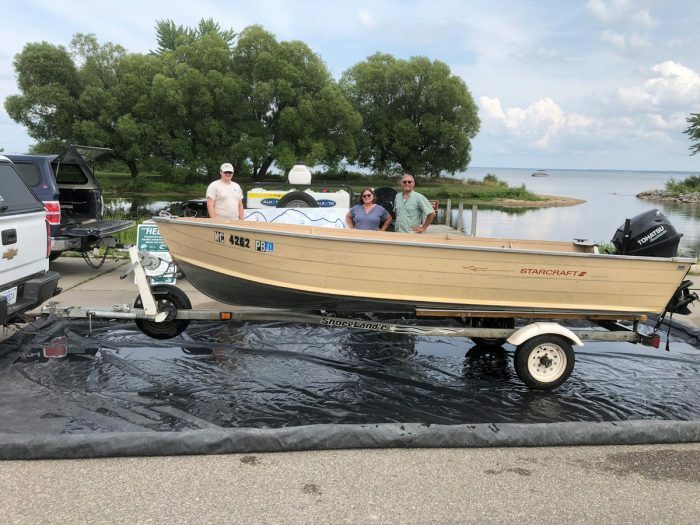 My search led me to Craig Cotterman, President of the Houghton Lake Lakes Association who had worked with us on the project as an AIS coordinator. Acting on his own initiative, he secured a grant on behalf of his organization from the U.S. Forest Service. He also acquired funding from the Houghton Lake Improvement Board, a longtime partner and the Community Foundation for Roscommon County. Craig kept the program alive for the whole of 2018. The program employed two people and washed boats at Houghton Lake public boat landings during the summer. They recruited volunteers and participated in two separate educational outreach events. As of September 23, 2018 they had engaged 1126 boaters. Looking ahead, the U.S. Forest Service will offer grant funding for the summer of 2019 so the future of the program is secure. Everyone at the Muskegon River Watershed Assembly wishes to thank Craig and his dedicated group. They are the reason the work is done. This also seems like an appropriate time to express our gratitude to everyone who supported us last year with a contribution. We have included links to our lists of members and contributors. Sincere thanks to all of you.